A prosperous commuter town, Woking is couched in London’s green belt, less than 25 minutes by train from Waterloo station. The town grew up in the Victorian period on the edge of what was then the largest cemetery in the world. In the 1880s the first mosque in Northern Europe was built in Woking, while a little later the first ever purpose-built racing circuit popped up close by at Brooklands. A high-earning population and the open space of the green belt has furnished the town no fewer than 14 golf courses, some rated among the country’s best. A famous former resident is H. G. Wells who wrote War of the Worlds while living here. In the book, Woking is obliterated soon after the Martians arrive on Horsell Common. 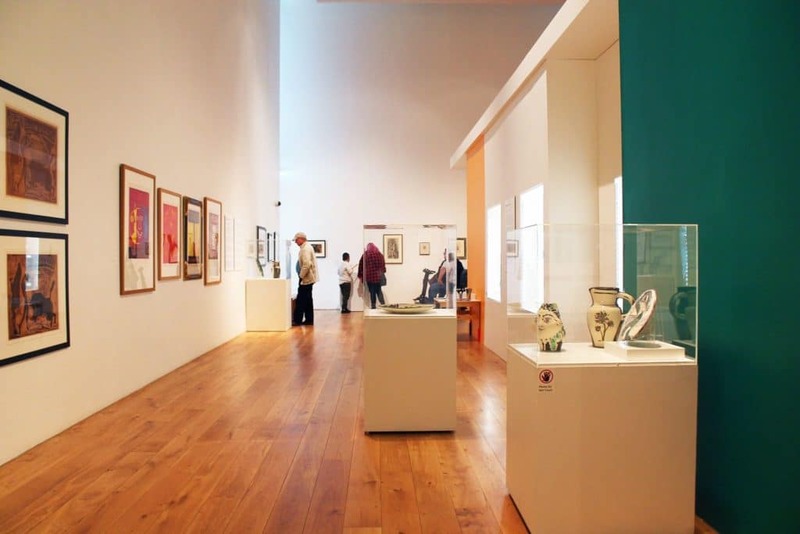 Next to the Basingstoke Canal, the Lightbox is Woking’s art gallery and local history museum in a modern building that opened in 2007. “Woking’s Story” is the permanent exhibition, chronicling the town in eight displays and dipping into topics like the Queen’s Royal Surrey Regiment, the coming of the railway, Brookwood Cemetery, the Tudor Woking Palace and the Shah Jahan Mosque. The Lightbox’s temporary art exhibitions are first-class. To paint a picture, in late-2018 there was a show on Impressionism with works by Cézanne, Degas and Renoir. John Constable, Henry Moore, Andy Warhol, Damien Hirst, Picasso and J. M. W. Turner are just some of the artists represented here over the last decade. One of England’s four Royal Horticultural Society gardens, Wisley is the most popular of them all, receiving around a million visitors a year. Accompanied by a research and training laboratory, the attraction has its roots in a Victorian experimental garden and was given to the RHS in 1903. Lots of spaces await, all expertly landscaped and ensuring a spectacle at all times of the year. 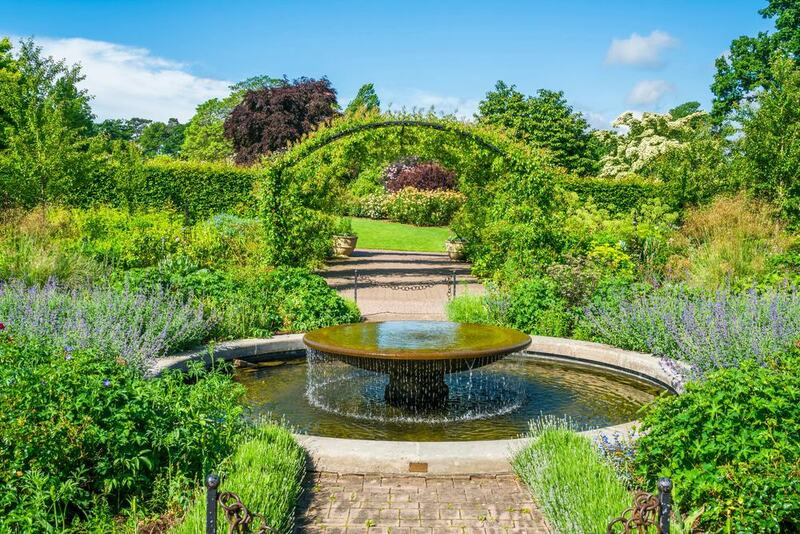 Just to name a small few, there’s an exotic garden, rock garden, bonsai walk, conifer field, walled garden, pinetum, cottage garden, orchard, mixed borders, Mediterranean terraces and a stupendous rose garden. And that’s without mentioning the 12-metre-high glasshouse, fringed by borders and landscaped gardens, and with a footprint of 10 tennis courts. Wisley boasts six different eateries, like the bustling Food Hall, which has a changing menu using seasonal produce grown on site. In walking distance of Woking town centre, Horsell Common is one of England’s only areas of common land that is both privately owned and open to the public. 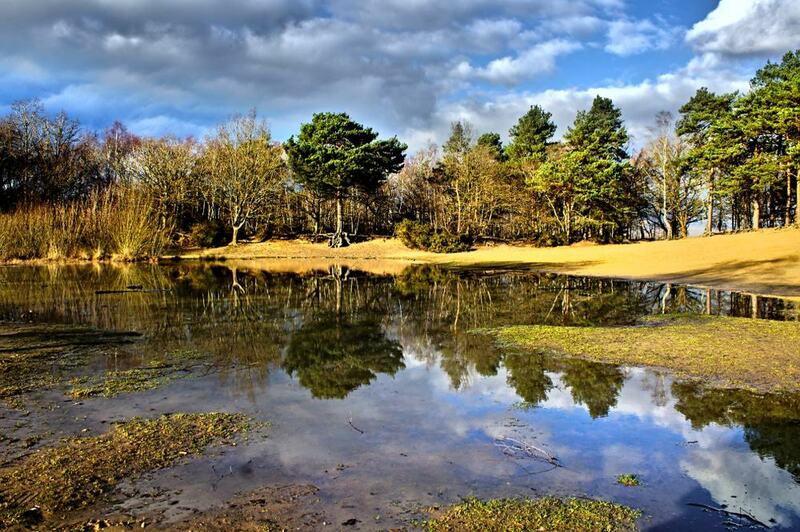 The common is a mix of wetland, open Surrey heathland and birch, oak and coniferous woods. Another habitat, the sand pits appear in War of the Worlds as the place where the Martians come out of their craft and fire their heat-rays. A short walk off Monument Road will bring you to the Muslim Burial Ground. This had been the burial site for 24 Muslim servicemen who died in the two World Wars, but has since become a memorial garden for all of the British Indian war dead in the two conflicts. Within walls there’s a reflecting pool fed by a rill beside a chhatri (traditional dome-shaped pavilion). 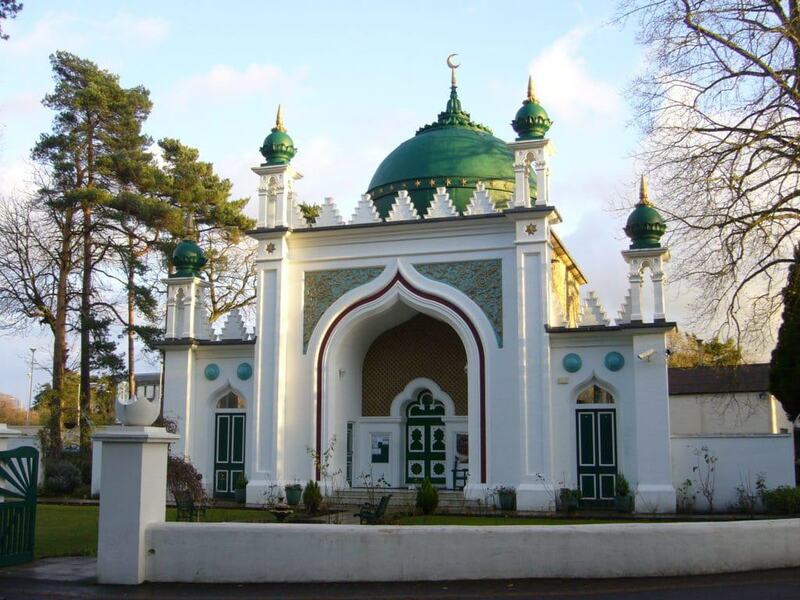 On Oriental Road, the Shah Jahan Mosque became the first purpose-built mosque not just in the UK but all of Northern Europe when it was completed in 1889. Crowned by a dome and small four minarets, the mosque is in the Persian-Saracenic Revival style by Gottlieb Wilhelm Leitner and composed of Bath and Bargate stone (limestone and sandstone). Queen Victoria’s British Indian staff and the British Indian Secretary would use the mosque when she was staying at Windsor. Since the 1970s the mosque has been a Sunni place of worship and is a mainstay of the local Muslim community. You’re free to enter this Grade I building to look around (outside prayer time), and you can book a guided tour via a form on the website if you’d like more insight. H. G. Wells lived in Woking when he wrote War of the Worlds, and a lot of the early part of the story is set in the town which is quickly levelled by the Martians. You can download a map for “Wells in Woking”, a circular walk starting and ending at Woking Railway Station. On the 13 stops are places relating to Wells’ life in the town, or that are mentioned in War of the Worlds. 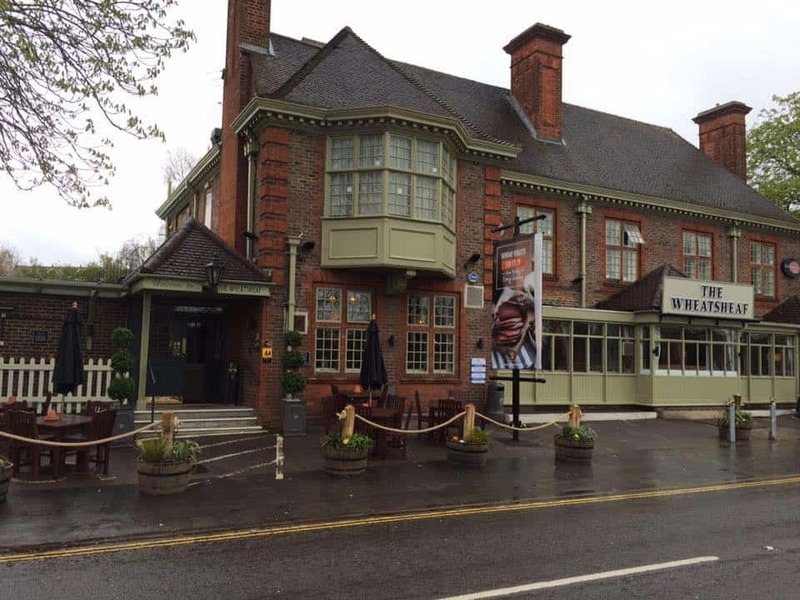 You’ll see Wells’ house at 141 Maybury Road, the sandpits on Horsell Common, the Wheatsheaf Pub where Ogilvy meets a potman running to Woking to spread word of the Martians. At Horsell Bridge there’s a mural in the subway of the Martians landing on Horsell Common, while you’ll find a sculpture of a Martian tearing through the town on Crown Square and a statue to H. G. Wells in front of the Lightbox. The first purpose-built motor racing circuit in the world was laid out a few minutes from Woking in Weybridge. Opening in 1907, Brooklands also doubled as an airfield and became a hub for the aviation industry. and the place where aircraft like the VC-10, Viscount and Wellington were manufactured. Brooklands’ story is retold by a superb assortment of racing cars, motorcycles, bicycles and aircraft at a world-class museum open every day of the year except Christmas. The aircraft collection is phenomenal, with Hawker and Vickers/BAC planes, and the only Concorde open to the public in southeast England. If you’re planning a visit, check the museum’s calendar, as there’s a series of visits by car cubs, aviation days and motorsport events at Brooklands in every season. In the Old Woking conservation area by the River Wey is a Medieval church mentioned in the Domesday Book in 1086. The only survivors from the Norman period are the west and north walls, while the tower dates to the 13th and 14th centuries, and the nave, south aisle and were completed by the early 1400s. But what’s extraordinary is that the wooden door in the Romanesque west entrance (now in a porch under the tower) has remained intact for 900 years since the reign of Henry I. Made up of four oak planks that was about 270 years old when it was cut down, the door is the oldest in Surrey and the third oldest in all of the UK. 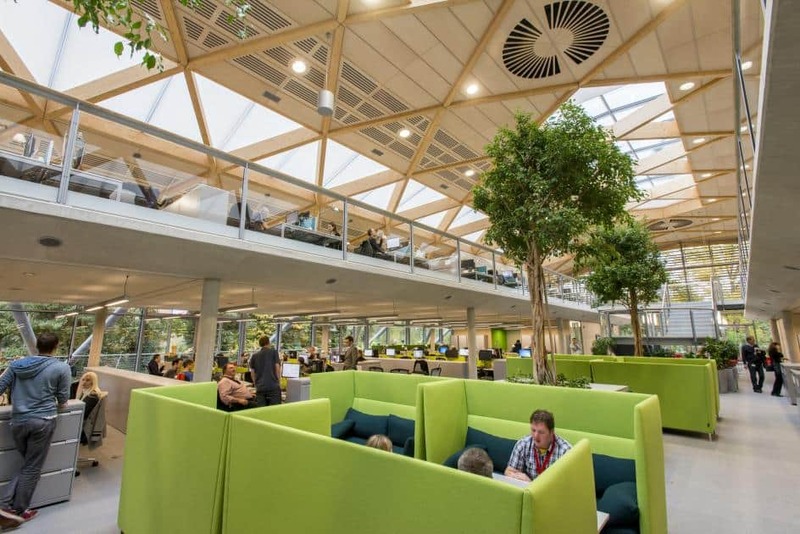 The World Wildlife Fund’s UK headquarters are slap bang in Woking’s town centre, and there’s a visitor centre open to the public from Monday to Friday. The eco-friendly building was opened by David Attenborough in 2013 and on its own would be a sight worth checking out. 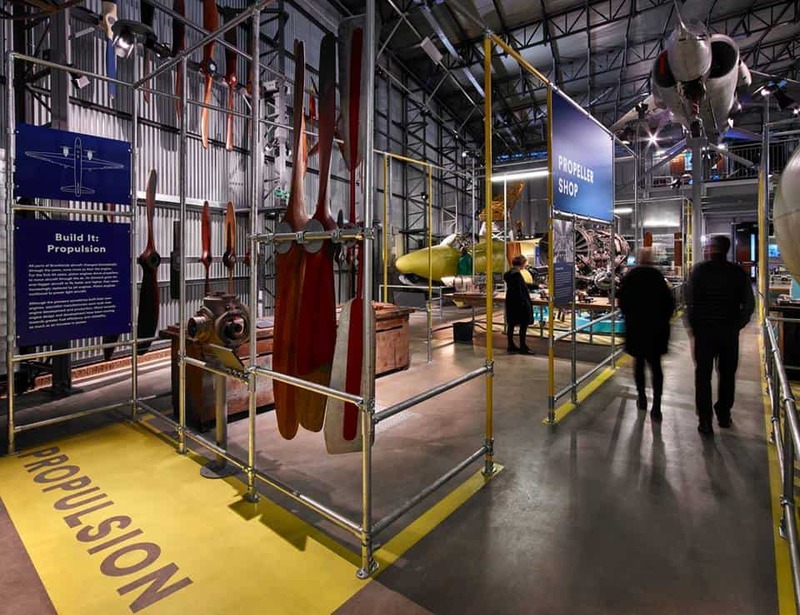 But inside is an interactive exhibition around four themed zones dedicated to wildlife, the oceans, rivers and forests, and with a treasure hunt for children to tackle. During the school holidays the learning zone has nature-related activities for children and there are occasional family discover sessions in the wildlife garden with gardening experts from RHS Wisley. A £7m project has endowed Woking with a dynamic central plaza, fringed by shops and a Cafe Rouge terrace. 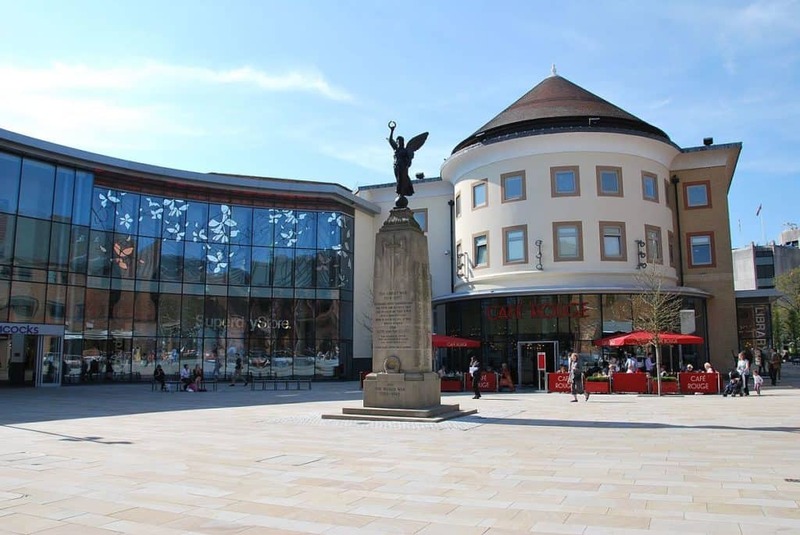 Jubilee Square is fronted by Christ Church Woking and the shopping centres Peacocks and Wolsey Place. The project was completed in time for the 2012 Olympics and the Queen’s diamond jubilee, and this space has become an anchor for public events like the Woking Food Festival in September. At the north end of the square on Mercia Walk there’s a statue for the paralympian Ade Adepitan who took bronze in wheelchair basketball at Athens in 2004. Incorporated into the Peacocks Centre at the heart of Woking, the New Victoria Theatre seats 1,300 and is one of the largest receiving theatres outside London. 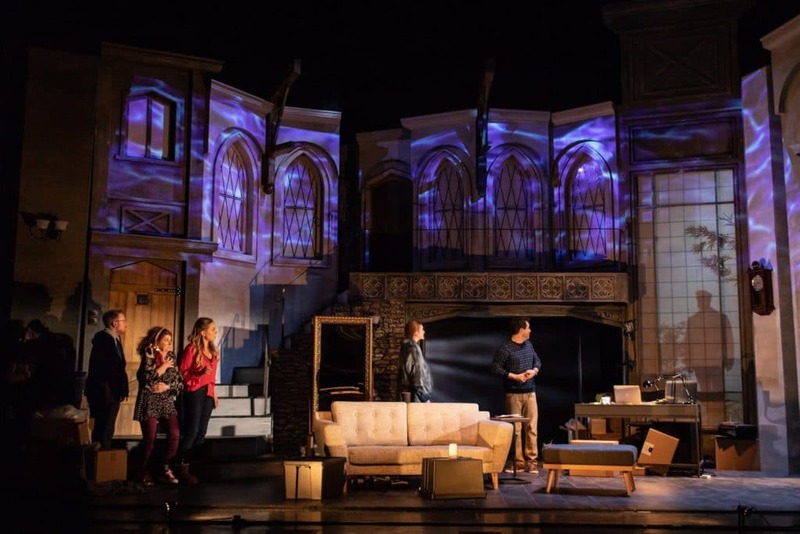 It’s the kind of venue where you can watch Big West End musicals (Chicago, Miss Saigon, Cats and Jersey Boys have all had stints here), as well as dance, tribute bands, comedians and evenings with cultural and sporting figures. For kids there’s a pantomime in December as well child-friendly musicals, while the theatre also screens performances from Glyndebourne. To discover local creative talent the smaller Rhoda McGaw theatre is in the same complex and in autumn stages the one-act Woking Drama Festival, which has been running in 1959. Woking Borough is at a key point in England’s inland waterways, where the Basingstoke Canal joins the Wey Navigations, providing a route to the River Thames. The Basingstoke Canal cuts through the borough between Brookwood in the west through to the Wey at Byfleet, and is one of the prettiest waterways in the UK. The Saturn Trail along the leafy towpath is a relaxing way to get around on foot or by bike. 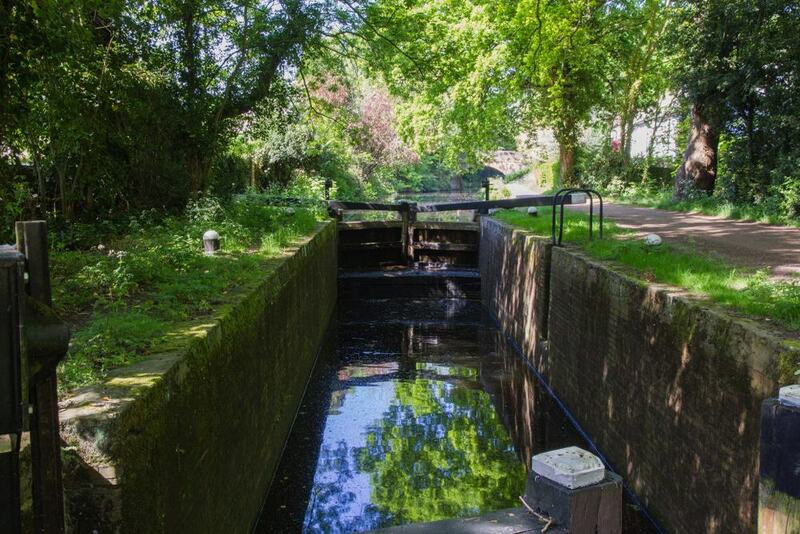 The National Trust has a seven-mile looping walking route along the canal and navigation, taking you via the working lock at Pyford, where the Anchor pub sits by the water. In summer you can also board “Kitty”, a narrowboat belonging to John Pinkerton Canal Cruises for a cruise through the town and next to Horsell Common. Woking Borough has the largest cemetery in the United Kingdom. Also known as the London Necropolis, the Brookwood Cemetery covers 500 acres and counts more than 230,000 interments, dating back to 1852 when the capital was in need of new space to accommodate its dead. The Brookwood Military Cemetery here is also the largest Commonwealth war cemetery in the country. The 24 burials at the Muslim Burial Ground on Horsell Common were transferred to Brookwood in 1968. And while all this may sound a little sombre, the military cemetery has some interesting stories to tell, and you can hear them on guided walks two to three days a week in the summer. 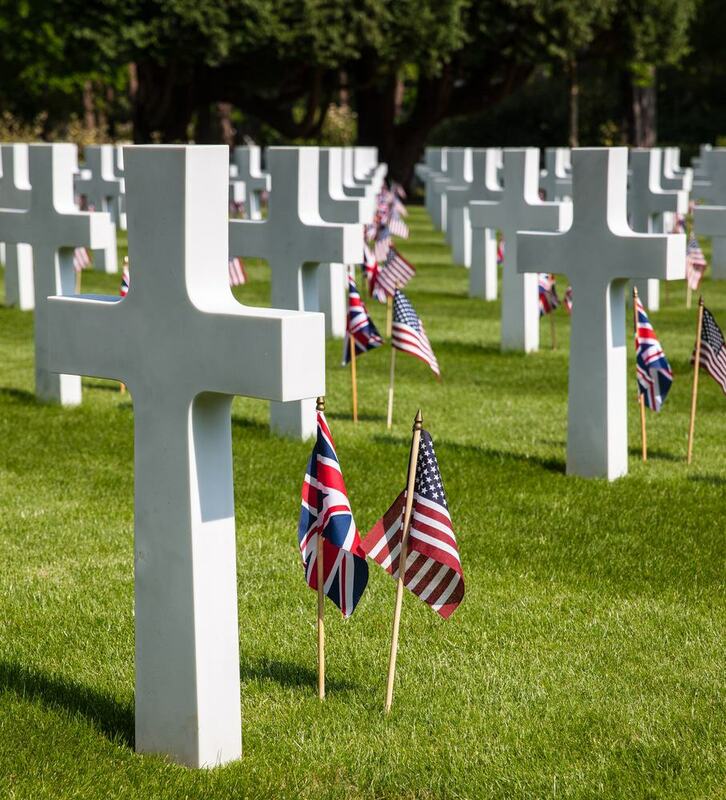 You’ll learn the history and meaning of the various memorials in the cemetery, and hear the stories of some of the men and women commemorated at Brookwood. There’s an inordinate amount of golf courses around Woking, sprawling across the healthland. In theory you could visit a different club every day for two weeks and never play the same course twice. The West Hill Golf Club (est. 1909) next to the Brookwood Cemetery was in fact developed by the London Necropolis. Golfers would travel down on the Necropolis Railway (a special line serving the cemetery) disguised as mourners to take advantage of the train’s cheap seats. 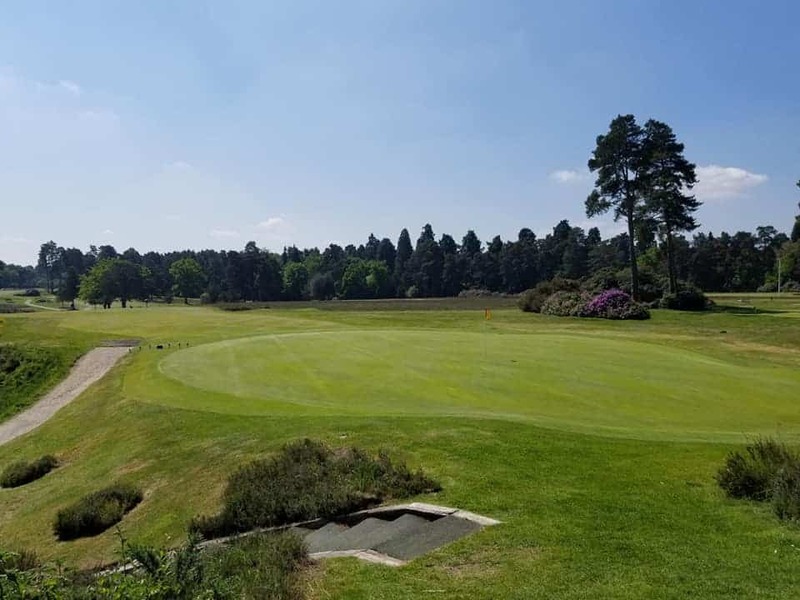 One of the more prestigious course in the vicinity is Worplesdon Golf Club, with a design by John Abercromby dating back to 1908, while just next door, Woking Golf Club is the most historic, founded in 1893. Both are ranked in the UK’s top 100 courses, and green fees are priced accordingly. For family day golf experience Hoebridge has a fantastic pirate themed crazy golf course. Next to the Brooklands Museum is Mercedes-Benz World, where the luxury car brand owns a series of training tracks and runs the AMG Driving Academy. Some champion drivers have used these courses, like Lewis Hamilton, Mika Häkkinen, Nico Rosberg and Stirling Moss. Visitors can book a selection of driving experiences, either driving or riding in an AMG-powered sports car on the track, or 4×4 vehicle on an off-road course. 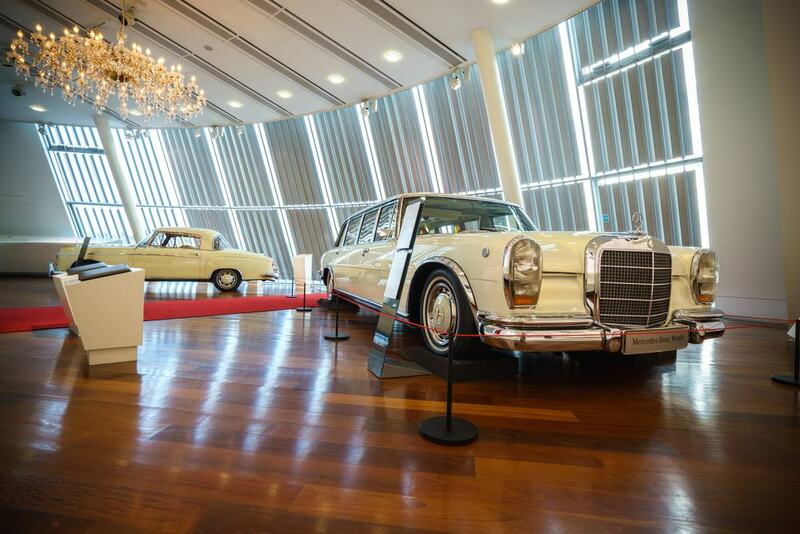 There’s also a driving simulator, a Mercedes merchandise shop and constantly updated exhibitions of classic cars and brand new models. 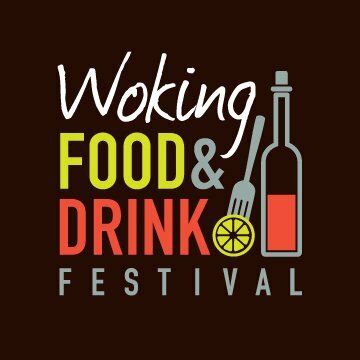 Voted Surrey’s “Best Local Food Event” since 2017, the Woking Food and Drink Festival takes place in Woking’s revitalised town centre on the first weekend of September. From the Friday to Sunday there are cooking demonstrations and master-classes by celebrity chefs and upcoming local talent, complemented by more than 80 food and drink stalls. You can go shopping for craft gin, quaff local sparkling wine, indulge in a cosmopolitan choice of streetfood and sample treats by local businesses, from cupcakes to artisan condiments.